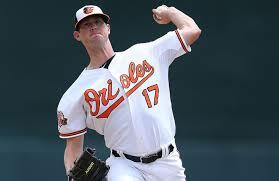 Brian Matusz is a lefty who could help the Mets but can the club scrap together enough money to afford him? The Amazins have serious interest in Orioles lefty Brian Matusz, who is available but would need Baltimore to pick up a significant chunk of the southpaw’s $3.2 million 2015 salary, making a trade unlikely. 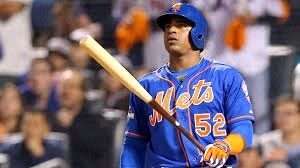 We wrote a few weeks ago that because of Matsuz’s salary he is unlike to be a Met this season. You can check out that article here. According to Mark Saxon of ESPN LA the Mets are monitoring the Dodgers who have three left-handers with some upside in camp although two of those left-handers can be sent down so the team doesn’t have to make a deal. The Mets didn’t have much interest in Cardinals lefty Sam Freeman, who was available before being dealt to the Rangers Saturday for a player to be named later or cash. The Mets sent Scott Rice down to minor league camp Saturday. He was having a very poor spring after a rough 2014 so he will not be the left-hander to get the first opportunity at filling the LOOGY role for the Mets to start the season. Dario Alvarez and Sean Gilmartin are the lone left-handed relievers still left in camp. Both have a good chance at making the team if the club doesn’t find a lefty outside the organization. Stay tuned as this could get interesting in the upcoming week…. In what seems like a foregone conclusion, the Mets lone 2014 All-Star, Daniel Murphy will likely be playing elsewhere in 2016, BrokeMets has been saying this for several months and now in a very interesting article by Joel Sherman of the New York Post, the Mets front office is pretty much acknowledging their limited resources are better off being used elsewhere. 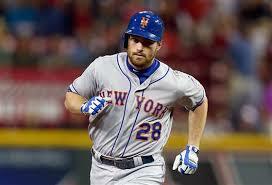 “He’s been a very good player and is a very good player,” Mets assistant GM John Ricco said in the Post article about Murphy. “The question comes down to managing assets, and we have young players we are high on that play that position.” If the team isn’t even denying that they won’t keep Murphy then guess what? They won’t be keeping Murphy. Murphy, now the second longest tenured Met on the team behind David Wright, remains unlikely to be ready for Opening Day with a strained hamstring. Murphy took five at bats in a minor league game Saturday but Terry Collins admits the second basemen is doubtful to head north with the major league club next week. “He’s running out of time,” Collins said. 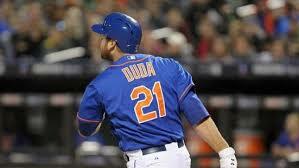 “We don’t have a lot of time to get him ready.” the Mets manager told the media Friday. Should Murphy be unable to go Opening Day the Mets can backdate his DL stint so he would only miss five games and would likely put Danny Muno on the MLB roster. Muno, 26, has yet to make his major league debut. 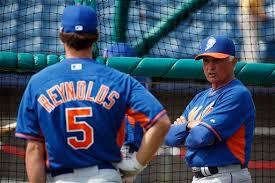 The Mets 8th round pick in 2011 (Sandy’s first draft) has had a very good spring training. Murphy, who will turn 30 next week, is likely looking at a four year contract worth somewhere around $36-40 million total as a free agent. This Met front office has never been high on Murphy but have been frustrated with the trade offers they have received for #28 over the past few seasons which is why he is still here. If the Mets are out of the race in July perhaps they try to trade Murph again, if not consider this long-time Met a rental as we enter the 2015 season.